Cereal boxes are packaging boxes produced from different thickness of the material. These boxes are also created with attractive designs and style to entice potential buyers. However, the cereal box is customized to attract adults and children. Leading packaging companies produce cereal packaging boxes of various kinds. Wheat, corn, Choco flakes, chocolate, low fat, and fruit cereal are packaged in captivating boxes to create an eye-catching effect on the targeted audience. Cereal boxes help to protect cereal products from heat and moisture, which can destroy the product’s quality. The packaging box also enables cereal makers to deliver the product in the most delightful way to the consumer. These boxes are used to package all kinds of cereal products ranging from low fat, fruit, wheat corn, chocolate, and others. Cereal boxes last longer because of the quality of material used in creating the packaging box. These materials range in various degree of thickness, to suit the packaging needs of the product and consumer. It is also customized with quality material to prevent any form of damage during transit. Leading cereal producers use quality cereal boxes to delight their customers. These boxes are printed in high quality and attractive designs to entice the customer. Cereal packaging boxes help to retain the product’s freshness and crunchiness. Consumers are usually thrilled when they discover that your cereal product stays fresh for a long time. This will make them trust your product and also purchase your brand always. Another cost-effective way to market and create more awareness of your cereal product is to use the cereal boxes. These boxes can be printed with vital information that will place the cereal product in the heart of the consumer. The company logo and nutritional facts of the product can be printed on the packaging box to entice buyers. The nutritional information will not be listed only, but the benefits to kids and adults will also be spelled out on the packaging box. As a cost-effective marketing tool, the social media contacts of the company are also printed on the cereal packaging box to direct the consumer. This will help to increase the customer base of your business and bridge the gap between you and your customers. It will also be easier for you to convey information about new products to your customers. Many options are available when it comes to customizing cereal boxes. The primary purpose of creating unique cereal packaging boxes apart from securing the cereal product is to entice consumers. 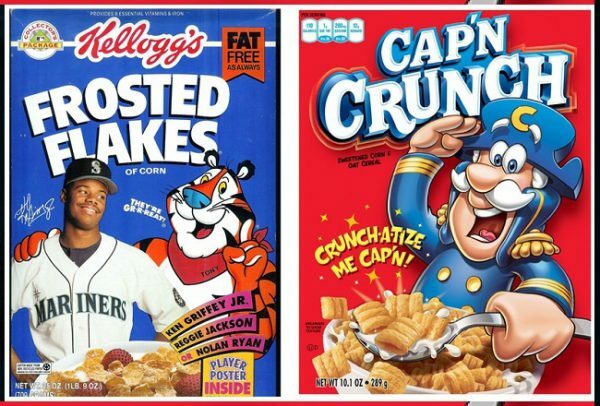 There are many cereal products on the market today, and the competition keeps increasing. Delivering your cereal products with unique packaging boxes will cause your brand to stand out from your competitors. These boxes can also be used to improve sales of the cereal products. Customers will be quick to select a name with quality and attractive packaging. Although kids are not the final decision makers when it comes to buying a product they can influence their parents to a large extent. Cereal packaging boxes can be customized with attractive colors and images that kids like. These boxes can also be customized in different sizes to give consumers the opportunity to make their choices. It can come in various ranges such as small, medium and large packs to suit the family needs. Leading packaging companies offer hundreds of templates to their clients. This gives the client an opportunity to create a unique packaging box they feel will increase the acceptability of their products. Different range of thickness of materials is also used to generate cereal boxes that are out of this world. The cereal box can also be used to promote the business. Information regarding new products and their benefits can also be printed on the cereal packaging box. This will give customers an idea that you are consistent and dedicated to meeting your customer’s needs. Is the Cereal Box a Necessity for my Brand Packaging? As long you are in business to make a profit and not to incur loses the cereal box is a necessity. Apart from helping your product to stay fresh and also retaining its crunchiness, these boxes also help to promote your business. These boxes are sturdy due to the quality of material they are made from. This will make consumers to buy and store more products in their homes. Products stored in these boxes do not get spoilt on time. With the use of high quality digital and offset printing techniques, attractive and quality cereal boxes are usually printed. These boxes can also be printed with quality colors such as CMYK and PMS color techniques. For kids, these boxes are printed with favorite cartoon characters to entice them. Images of Batman, Winnie the Pooh, Superman, and other inspiring heroes are also printed on the cereal packaging boxes to bring children closer to the cereals. To provide additional attraction, puzzles or stickers are also printed on the children’s cereal box. To create more awareness and show the standard of your product, beneficial nutritional information can also be printed on the cereal boxes in an enlightening way. To create unique cereal boxes for your brand, you need a professional with creative ideas. Many individuals and companies are claiming to be professionals these days, but with careful research and reading through reviews, the best can be spotted. These boxes can be customized in different ways to attract consumers. With experience and knowledge in creating packaging boxes for cereal products, a professional knows what to do to unleash the growth potentials of your cereal products and business in general.